Actress and recording artist Victoria Justice (“Victorious”) and Ryan McCarten (“Liv & Maddie, ” Heathers the Musical) have been announced to play Janet Weiss and Brad Majors in Fox's fall 2016 broadcast of "The Rocky Horror Picture Show." They will play the straitlaced couple whose arrival at the Frankenstein place one dark and stormy night sets off the show's hilariously creepy plot. The show will shoot this winter. The precise broadcast date has not yet been set. As previously announced, Laverne Cox, the ground-breaking transgender actress who earned an Emmy Award nomination for her performance on "Orange Is the New Black, " will star as Dr. Frank-N-Furter. 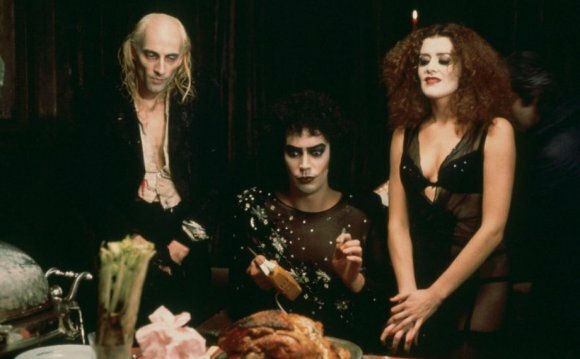 Tim Curry created the role of Dr. Frank-N-Furter in the Broadway and film versions of the musical. Actor and singer Staz Nair will play the title role of a hot young man created in the laboratory to fulfill Frank's desires. Reeve Carney, who created the title role of Spider-Man Turn Off the Dark on Broadway, has been cast as Frank's helper, Riff Raff. Additional cast members to be announced.